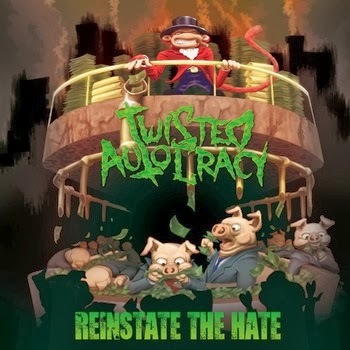 Twisted Autocracy are a four piece thrash band from Dublin. Three being Dublin thrashers and one being a Kenyan drum machine... from the sunny city of Nairobi, brought together by a love of making music with politically themed lyrics. Their music is politically orientated because they like to sing about how they see the world and they love nothing more than writing music and playing gigs!